Our gift card fundraiser was a success thanks to our supporters! Stay tuned for information regarding the funds raised through this program. The gift cards will be arriving on Friday December 10th. 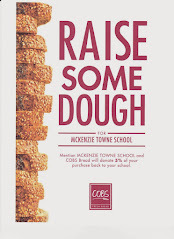 A representative from the McKenzie Towne School Parent Association will be at the school on Friday from 7-8pm for parents to pick up their gift cards. Please ensure the person who placed the order comes in person for their cards as we will not be able to release cards to friends, neighbours, etc. If you are unable to pick up your gift cards on Friday, please contact me directly at keycommunicator@mtsparents.com to make arrangements. Again, thank you for supporting this fundraiser.